Obesity can lead to serious health problems including hypertension, heart disease, liver disease, diabetes, and increased the risk of cancer in some people. People with a BMI (body mass index) over 35 may qualify for weight loss surgery. You can find out your BMI by following ​​​​​​​​​​ this ​​​link and using the calculator at cdc.gov. Weight loss surgery is an option for patients with obesity that allows you to lose a significant amount of weight and reduce the medical problems associated with obesity. The stomach is a large sac that expands as we eat food. 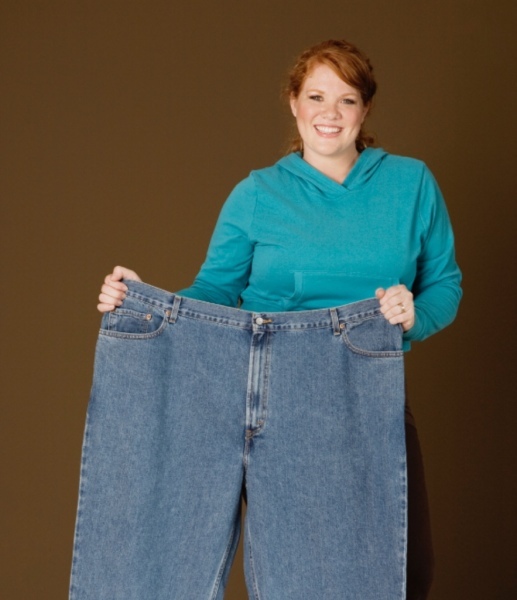 Weight loss surgery decreases the capacity of the stomach so that you will no longer be able to eat large meals. The surgery also reduces appetite by removing a center for the hormone, ghrelin, which is responsible for hunger. is accredited as a Comprehensive Center for Bariatric Surgery. During a sleeve gastrectomy, your surgeon will revise the shape of your stomach from a large sac to a thin tube. 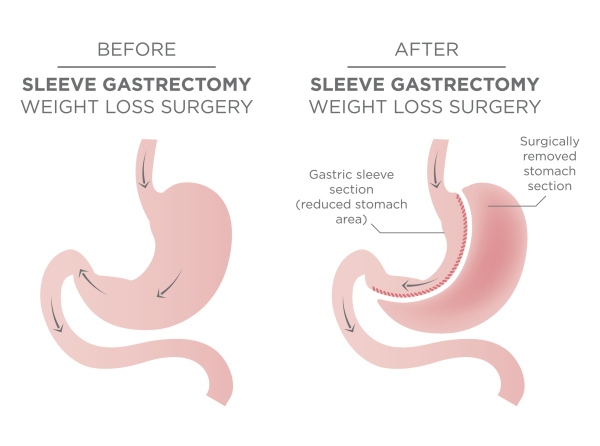 During a gastric bypass, your surgeon first takes the stomach down to a small pouch and then re-arranges and attaches the beginning of the intestines directly to the new stomach to allow for passage of food and digestion. The MBSAQIP Standards, outlined in the Resources for Optimal Care of the Metabolic and Bariatric Surgery Patient (2014) ensure that bariatric surgical patients receive a multidisciplinary program, not just a surgical procedure, which improves patient outcomes and long-term success. An accredited center offers preoperative and postoperative care designed specifically for patients seeking a lifetime commitment to healthier living. ​With this continuing accreditation, Medical City Dallas has made a strong commitment to quality that has earned the confidence, respect, and trust of patients. Medical City Dallas’ commitment to quality care begins with appropriately trained staff and the leadership of surgeons who participate in meetings throughout the year to review program outcomes. They seek improvement continuously to enhance the structure, process, and outcomes. ​​​​To earn the MBSAQIP designation, Medical City Dallas met exacting criteria for staffing, training and facility infrastructure and protocols for care, ensuring its ability to support patients with obesity. Centers seeking MBSAQIP Accreditation undergo an extensive site visit by an independent, experienced bariatric surgeon, who reviews the center’s structure, process, and clinical outcomes data. An accredited center also participates in a national data registry that yields semiannual reports on the quality of its processes and outcomes, identifying opportunities for continuous quality improvement. ​In the United States, around 15.5 million people suffer from severe obesity, according to the National Institutes of Health, and the numbers continue to increase. Obesity increases the risk for illness and death because of the diseases and conditions that are commonly associated with it, such as type II diabetes, hypertension, and cardiovascular disease, among other health risks. Metabolic and bariatric surgical procedures have proven to be effective in the reduction of comorbid conditions related to severe obesity. Working with ASMBS, the ACS expanded this quality program for bariatric surgery centers so that it can assist bariatric patients in identifying those centers that provide optimal surgical care.